If you fancy taking down a web server and show proof-of-work, you can earn yourself some DDoSCoins that you can trade in for cryptocurrencies like Bitcoin and Ethereum. DDoSCoin is one of the latest cryptocurrencies to emerge, and it is already making headlines. The platform was created by University of Colorado assistant professor Eric Wustrow and University of Michigan PhD student Benjamin VanderSloot, and it allows TLS (Transport Layer Security) web servers to be targeted for DDoSCoins. The proof-of-work project was built on a cryptocurrency, DDoSCoin, that offers a means to prove participation in distributed denial of service (DDoS) attack, and for that feat, attackers earn DDoSCoins that they can trade in for cryptocurrencies like Bitcoin and Ethereum. 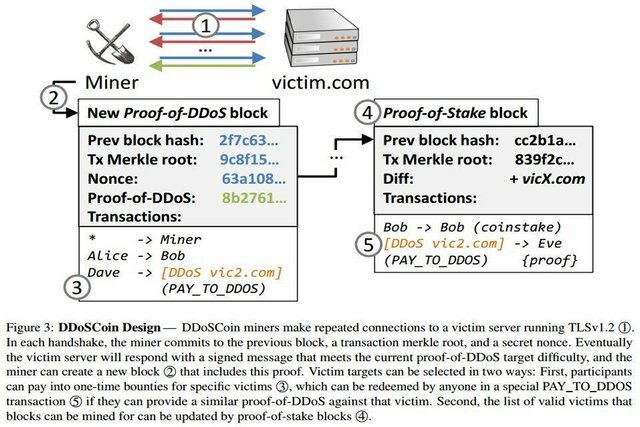 "DDoSCoin allows miners to prove that they have contributed to a distributed denial of service attack against specific target servers, this proof involves making a large number of TLS connections to a target server and using cryptographic responses to prove that a large number of connections has been made. 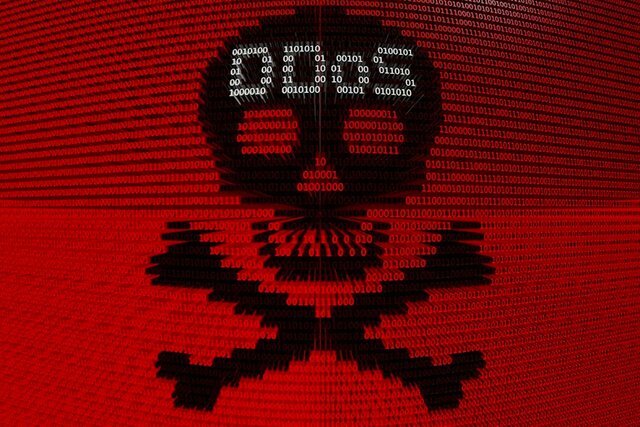 Proof-of-DDoS can be used to replace proof-of-work in a cryptocurrency setting, provided that there is consensus around what victims are valid targets." The platform works by confirming signatures that are created when the TLS connections are confirmed, and only after a signature is confirmed that attackers are gifted DDoSCoins. Those who want to participate and set up a target for a DDoS attack can use the PAY_TO_DDOS transaction and a second for updating victim domains that attackers can use for mining coins. This is quite an interesting concept, but is it a viable cryptocurrency? I don't believe so. However, it does show the diabolical side of cryptocurrencies which is something that can set back the progress that has already been made in the cryptocurrency community. Thanks for the notice @cheetah! My post clearly states at the bottom where the original article originated from. The idea of mining is very geek. So this currency rewards attacks? Simply put, yes it does @tee-em. Not the best idea when it comes to creating a new cryptocurrency. It does sound like a hatercoin, and it isn't something that the crypto community needs at this this time. Yeah, I don't see it catching on as an effective tool in the least. I have much more to worry about than a coin enveloped in fraud with no real external market.